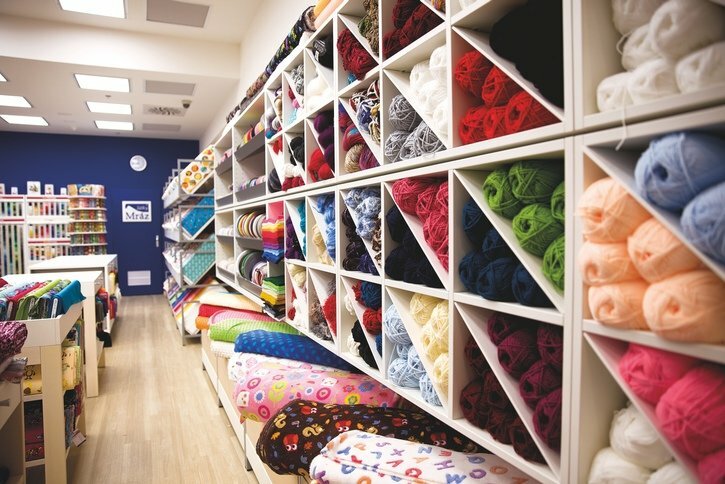 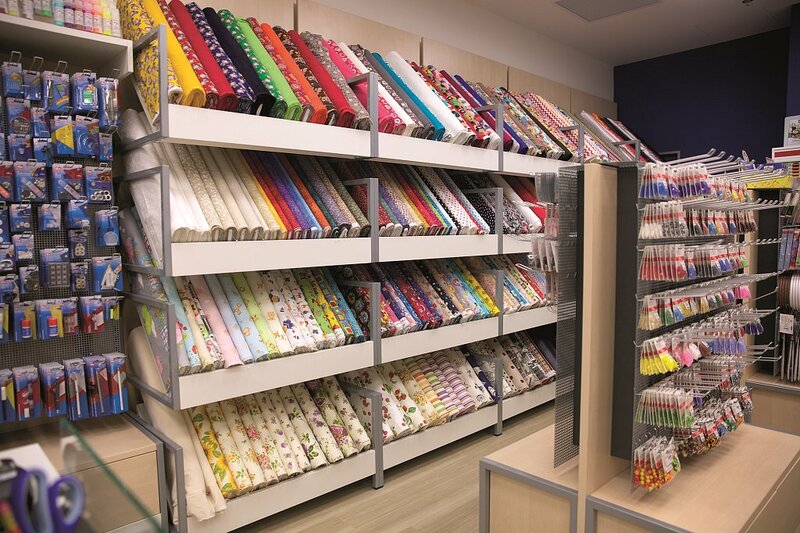 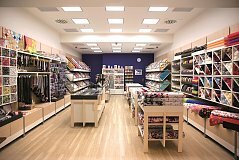 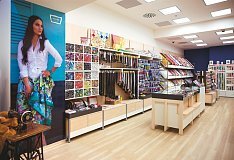 Our spacious store (80 square metres) showcases our huge assortment of cotton fabrics, fabrics designed for Patchwork & Quilting, and knits and fashion fabrics for current season. Our offerings of basic notions are completed with sewing accessories from the leading brands: sewing tools from PRYM, threads from GUTERMANN, needlecraft and knitting from DMC, buttons from DILL, and beads from KNORR PRANDELL. 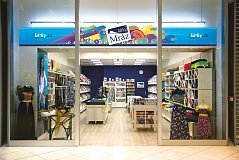 Bus Stop at Shopping Mall: "K Letišti"